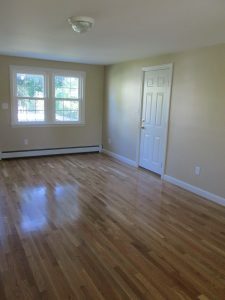 Hardwood Floor Drying in Westborough | MA Restoration Inc.
Hardwood floors can be especially susceptible to water damage. Prolonged exposure to standing water or high humidity levels may result in permanent damage. If you have hardwood floors in your home or business and experience water damage, M.A. Restoration can provide specialty hardwood floor drying services. What Happens When Hardwood Floors Experience Water Damage? Wood naturally absorbs moisture and maintains a moisture level of 6-12% under normal conditions. If the wood is saturated with water or exposed to high humidity levels for an extended period of time, the moisture content of the wood can increase substantially, causing the wood to cup, warp, crack, or discolor. Proper Drying is Essential. Drying hardwood floors can be difficult, and drying the floors too quickly or over drying can lead to permanent damage. At M.A. 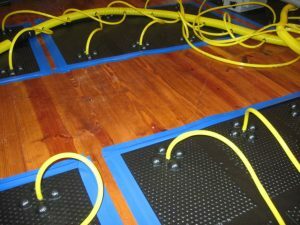 Restoration, our team has the equipment and experience to effectively dry your hardwood floors after water damage. We will extract the excess moisture and carefully dry the wood until it reaches it’s natural moisture content. Various types of hardwood floors will react differently to water damage. Damage can be sustained as quickly as 24 hours after the wood has been saturated with water. If your hardwood floors have experienced water damage, do not hesitate to call a professional. With a quick response and proper drying, your hardwood floors can be restored to their natural beauty.